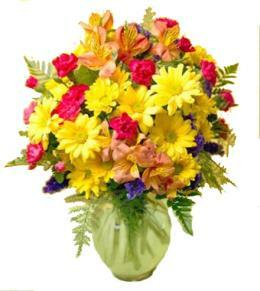 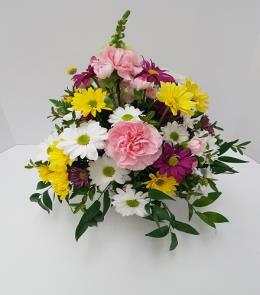 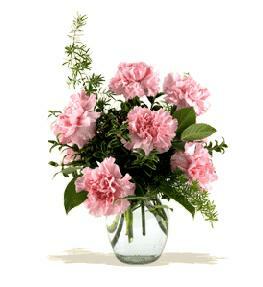 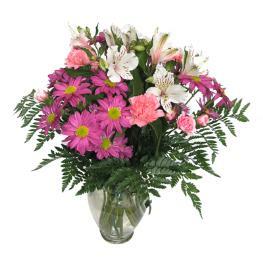 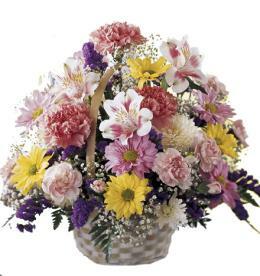 Created with tropical flowers in stock on delivery day. 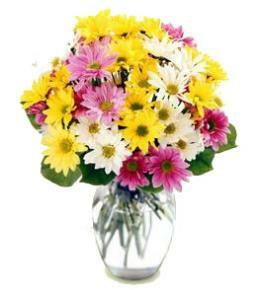 Early orders allow time to bring in other varieties. 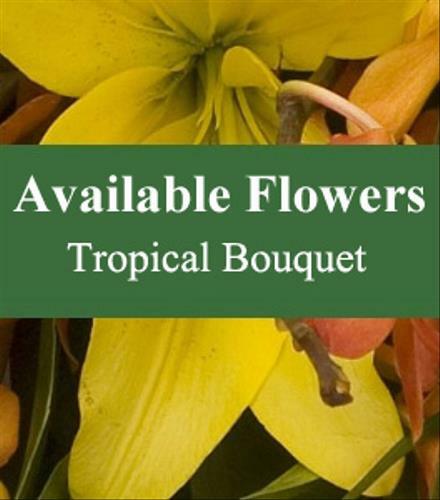 Created with available tropical flowers.